Air is easily adjusted to achieve desired compression and custom fit. It's patented pneumatic system increases stability while decreasing pain and swelling. The low heel height and rocker sole allows for a more normal, rolling gait pattern. 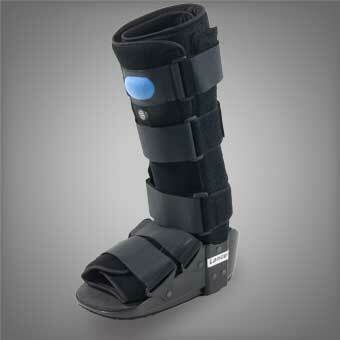 It limits foot and ankle motion, is wound and x-ray accessible and has hook and loop closures.